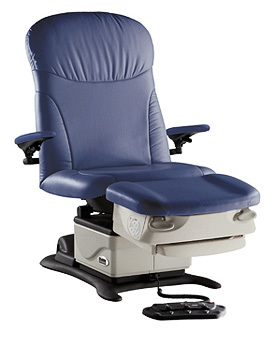 Who Else Wants to Snag a New Midmark 647 Procedure Chair (or even a couple of them!) at Only 35% of the Promo Cost? Yep. You read that right. ... We're Talking Rebates, Tax Breaks, Tax Deductions — Oh, My! What happens when you cross a Midmark Rebate with a Tax Credit with a Tax Deduction? Answers: you save a bunch of money and you get some great new exam chairs for your practice! Specifically some incredible Midmark 646 or 647 Procedure Chairs. And with this rebate, this tax credit, and this tax deduction ... all working together ... You can literally save yourself 65% on one of these. The normal list price on this incredible chair is $9,036. That makes your out-of-pocket cost on one of these beauties only $2,648. There's no hocus-pocus there. That's how the math works out. You don't have to take the $400 rebate from Midmark. You can actually get yourself something even nicer if you like: they're even offering as an option a Vision Block Screen and Ritter 276 Air Lift Stool — and those are actually worth $818. Or if you want, you can get yourself a three-year extended warranty on the chair — and that's worth $1,200! It's up to you. Four hundred in cash, or one of those other offers. Up to you. Just act quick ... they aren't going to last long. And for you ... that increased accessibility means a Section 44 Tax Credit for each of these chairs you put in your office. Covered glides — making it easy to clean. Ergonomic release handles — positioned to allow one-handed operation. Adjustable arms — that can rotate completely out of the way, for max accessibility. Integrated touch controls — convenient and built to last. Large stainless steel debris tray — speaks for itself. Barrier-Free 19" Low Height — great for patients & gets you a tax credit. You're going to have a gorgeous NEW procedure chair in your office. Your patients are going to think it's great. Your staff is going to think it's great. You're going to feel so much better looking at the NEW table every day. And you're going to feel relief at getting rid of that old clunker you're replacing. Let's get you set up with at least one of these. (Or two, if you want!) Call now: 800-839-0722. This is an easy choice. Great new chair, unheard-of discount opportunity. Grab it while you can and start enjoying your new procedure chair as soon as possible. This promotion isn't going to last forever. You've got a small window of opportunity here. You know you would love new exam chairs, and they'll be an asset to your practice. You can grab them right now at 35% of the normal promo pricing. Don't let six months go by and be sitting there with your old exam chairs wishing you had grabbed this chance while you could. We can email you more info or give you a call. Just fill this short form out and we'll be in touch. And keep in mind, we can even help you get set up with simple lease-to-own financing, usually with a $1 buy-out at the end of whichever term you choose (anywhere from one to five years). Just ask and we can send you a short "Easy App" to fill out so our finance guys can work up monthly options for you to look over.